Abstract – The Portuguese Association of Caporals and Soldiers (AP – Associação de Praças), a member of EUROMIL, along with the Club of Caporals and Soldiers of the Navy (CPA – Clube de Praças da Armada) held a public ceremony at the Civic Center of Feijó on 9 September 2017. The Almada City Mayor attended the ceremony as a guest of honour. The event took place near the Insubmissive Sailor Monument, commemorating the 81st Anniversary of the Sailors’ Revolt of 8 September 1936 – adopted as the National Day of the Armed Forces Caporals and Soldiers – and the 8th Anniversary of the inauguration of the Insubmissive Sailor Monument. On the National Day of the Armed Forces Caporals and Soldiers, Luís Reis, President of AP, mentioned in his speech: “As we celebrate the 81st anniversary of the “Revolt of the Sailors,” as we pay tribute to those who “held the flame of freedom and for freedom through the long night,” we think of both the past and the present. Having the presence of several guests representing the local authorities, the military leadership, political parties, military association leaders, representatives of security forces associations, trade unions representatives and members and families of both organizations, Antonio Lima Coelho represented the President and the Board of EUROMIL, placing a wreath at the base of the monument. The revolt of the young sailors had the immediate motive for the reintegration and release of sailors, was influenced by the social and professional situation of the sailors, by the Civil War of Spain, and by more factors of a troubled time. The revolt of the sailors had the merit of revealing the discontent of the sailors, an integral part of portuguese people, that to the fascism of Salazar voted a deep hatred. He also dismantled the regime lie that the Navy was with the government, which, at the time and in the general context of Salazar’s policy, opened a good gap. Despite poor planning and some voluntarism, on 8 September 1936 the young sailors who courageously dared to fight for their rights did not cease to have the courage and for that act they suffered a cruel repression. The revolt resulted in twelve sailor’s dead, 208 sailors arrested and dismissed, joined by the arrest of 30 sailors even before their outbreak. 82 rioters were sentenced: 44 were sent to Angra do Heroísmo (Azores Islands), 4 to Peniche and 34 sent as the first detainees in the ignoble Tarrafal Concentration Camp, in Cape Verde Islands, where many were punished between 16 and 20 years in political prison. 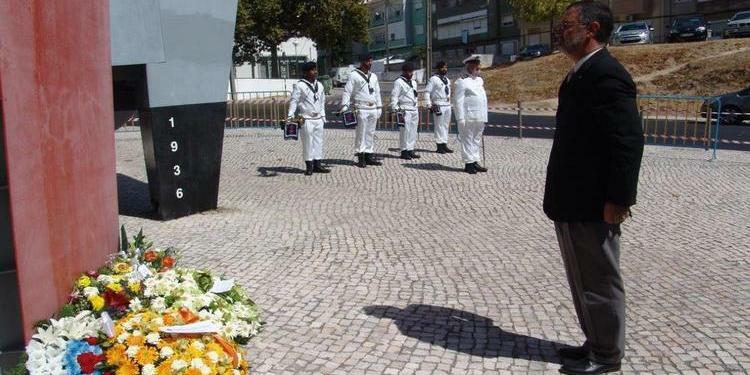 Thus, as an example of courage, self-denial and dedication with their lives to the struggle against the dictatorship in Portugal, the sailors made their contribution to the restitution of freedom in the country, precisely in a period in which Portuguese fascism demonstrated strength and support at an international level. That is why his example of struggle must be remembered and praised as a contribution that has created broad prospects for the development and strengthening of the fight for Freedom. Remembering this act of courage is the minimum that, at a time when the values ​​of the motherland are forgotten by many, we can do to honor their memory. Fo further information, please contact AP.